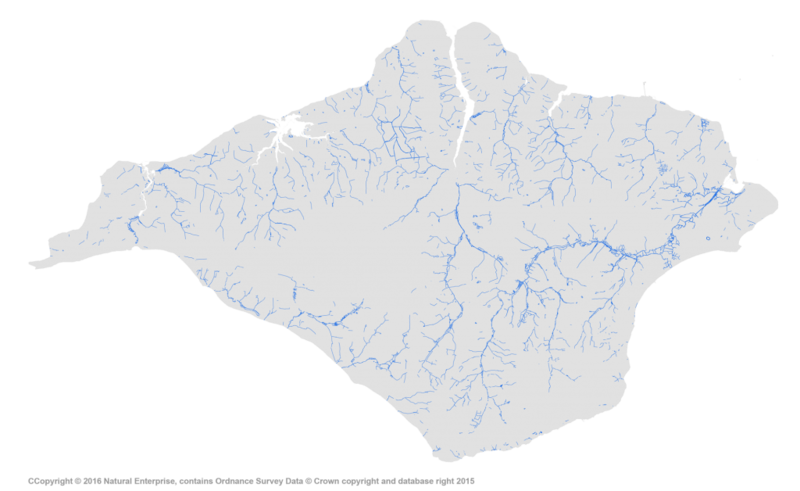 Until well after the last Ice Age the Isle of Wight was part of the mainland, and a major stream, the Solent River, flowed eastwards from the River Frome towards the sea at what is now Littlehampton. The Test and Itchen were tributaries of this river. About 2000 BC the sea broke into the main channel between Purbeck and the Island. This led to the submerging of the downstream reaches of the north flowing rivers on the new Island, creating the estuaries at Yarmouth, Newtown, Cowes and Wootton. Apart from a few small brooks on the south coast, all the Island’s streams flow northwards. 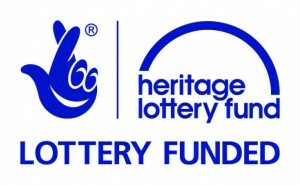 Included among these are the Western Yar, Newtown River and Caul Bourne, and Palmer’s, Blackbridge and Monktonmead Brooks. There are five main estuary systems – the Eastern Yar, Western Yar, Newtown, Medina and Wootton Creek. All share common features of tidal mudlfats and shingle, saltmarsh and varying amounts of fringing woodlands. Rivers not fed by the chalk aquifer like the Merstone Stream and Thorley Brook tend to have a flashy response to rainfall and suffer from natural low flows in the summer. However, rivers fed by springs from the chalk like Lukely Brook do not tend to react rapidly to rainfall except when coupled by urban run off. Water is abstracted from the Island’s Rivers and groundwater for a range of uses including public water supply, agriculture and industry. Demand for public water supply greatly stresses the Island’s water resources and water is now imported by pipe from Hampshire. The natural water quality of the Island’s streams is variable. Those arising from chalk springs are well buffered and neutral, whereas those originating from sandstone may be acidic. Rivers that flow across the greensand such as the Eastern Yar will carry a lot of sediment. Water quality is also affected by, among other things, run-off from farms and urban areas, by leachate from landfill and industrial sites and by poorly maintained septic tanks and misconnected domestic pipes. The rivers are too small to support a great deal of course fishing but they do support a great deal of wildlife, including internationally protected species. However, many have been heavily modified in the past causing a lack of natural features. Some are now being rehabilitated.